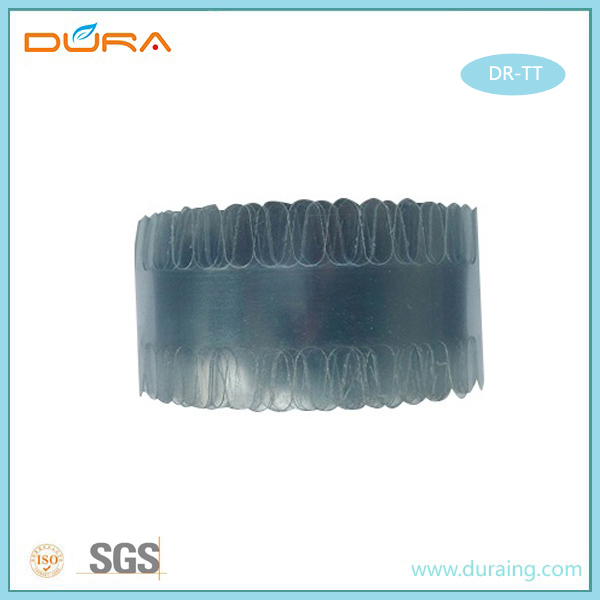 The transparent tooth type acetate film is mainly used on the tipping machine to tip the handbag or shipping bag rope. The distance of the tooth is important and must confirmed before place order. The tooth type acetate film thickness or width also need to confirm before order. Quality Control: The acetate material we select strictly and mix carefully before injection. Packing: 2.5 KG per roll, 15 rolls packed in one carton, 1000KGS packed in pallet. Payment Term: TT in advance or by L/C at sight. Delivery Time: 20 days after receipt of payment.